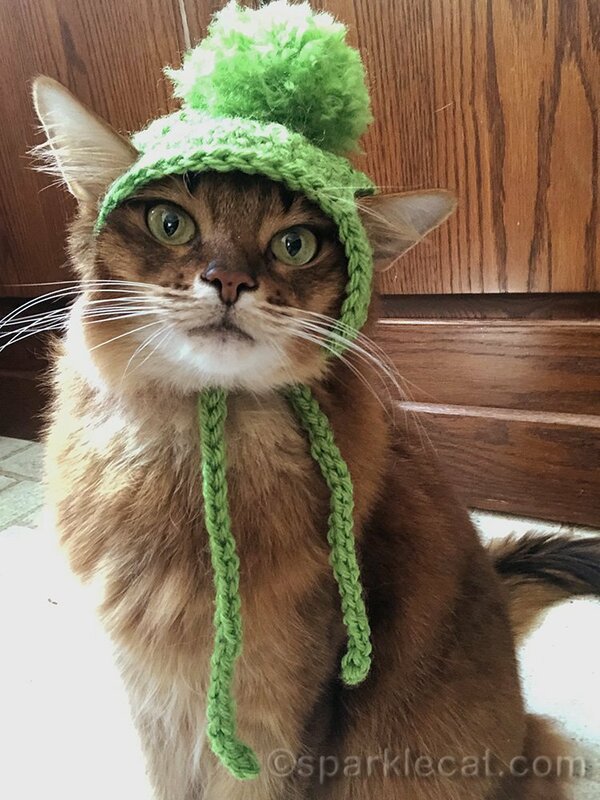 A patient at one of my regular hospitals knit caps for me and Josie, the other therapy cat in our organization. Josie got hers right away, but I didn’t get mine until my most recent visit to that hospital. 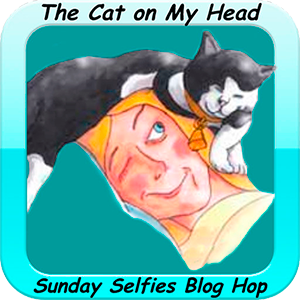 I decided to wear it for my Sunday selfie this week! Hold on while my human puts it on me. The least she could do is put it on right. I think she’d better fix it! That’s much better! 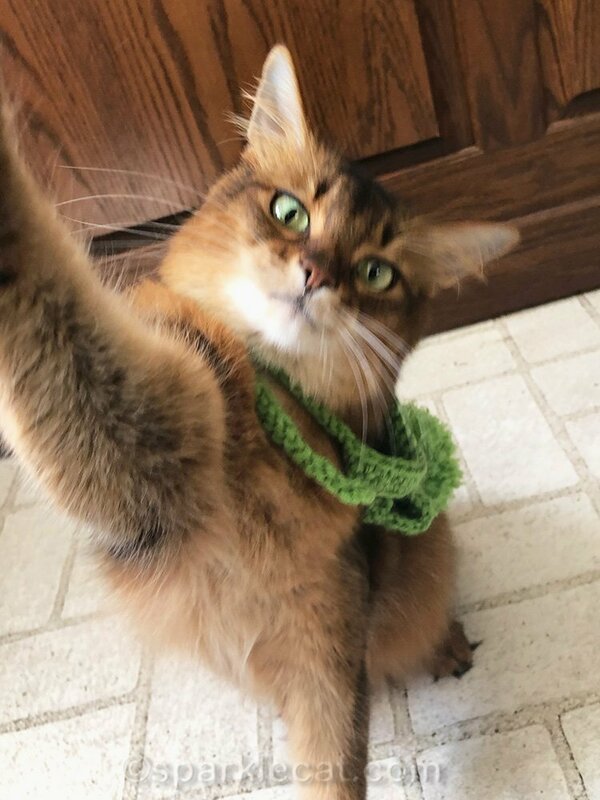 I’m ready to take my selfie! Oops! The hat fell off when I was reaching for the iPhone. I’d better stop and fix it. Much better! Now I just need to wait for some winter weather. That may take a while. It’s very cute on you. Love the green color! I myself love knit hats! That is so cute! What a thoughtful gift. That huge pompom on top is purrect for you, Summer! You are so cute in that hat. Me, no way you would even get close to getting it on me! What a sweet gift from the patient! Green is a great choice for you. You look so cute, Summer! Ooooh, Green. I like green but your color is pink. Oh wait, I think you have a pink churro hat. Awwww adorable! 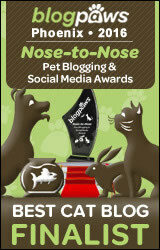 I know the person who made it for you will love seeing these pics! Sweetheart you look adorbs. Seriously adorbs! That was a sweet gift. It does match your beautiful eyes. That is the cutest knit hat EVER! What a cute hat, Summer. Meow meow that hat reelly bringss out yore lovelee green eyess Summer! 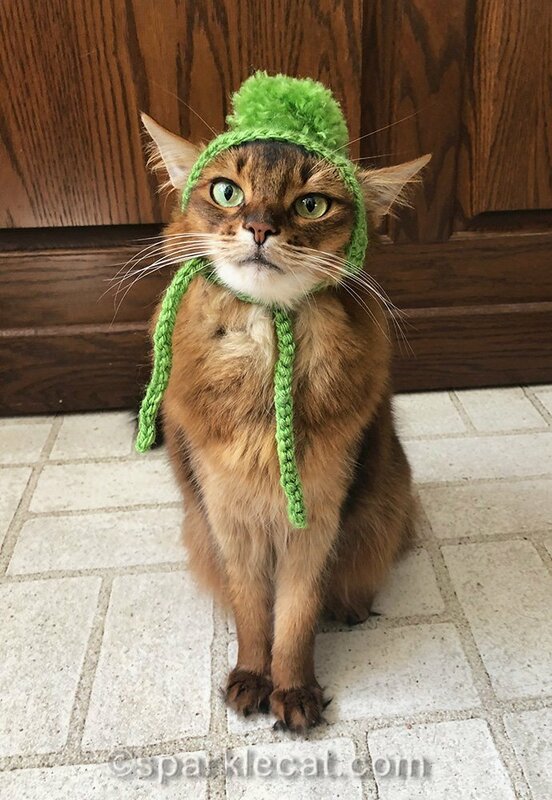 An if you were here yore hat wuud keep you warm fore sure! Wee have all most 6 inchess of snow again…. that was so thoughtful of that person to make that darling hat! Green is my favorite color and Summer looks so pretty in that hat, it’s darling! The last picture is just the best. Such a cute hat. You are so beautiful Summer! Great selfie. That hat’s a really nice color for showing off your beautiful furs. That hat matches your eyes purr-fectly, Summer Sweets! It will come in handy on cool spring mornings when you go on walks with your mom, too. Luvs. 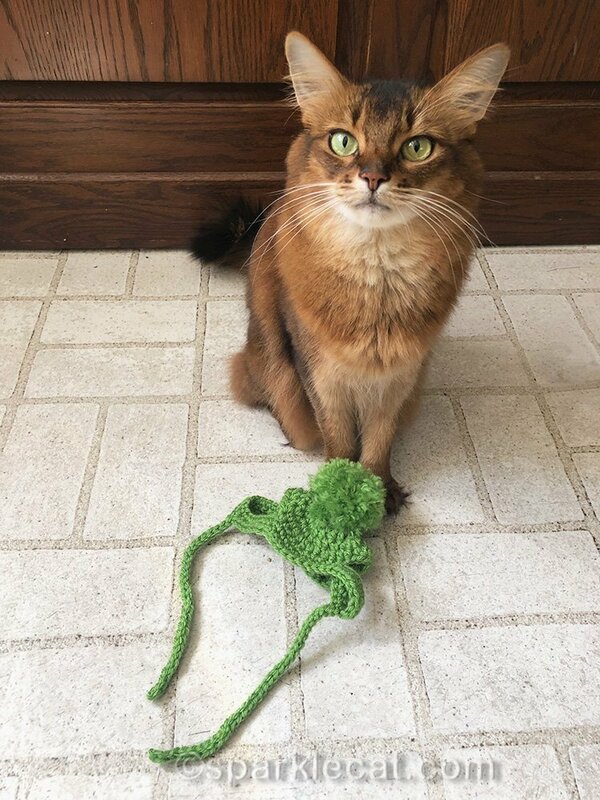 How wonderful that the nice lady knit that for you! It really looks great and suits you well. You are cute, cute, cute sweet Summer! That is very cute, Summer. What a nice lady. That’s too cute! It’s very sweet of the lady! 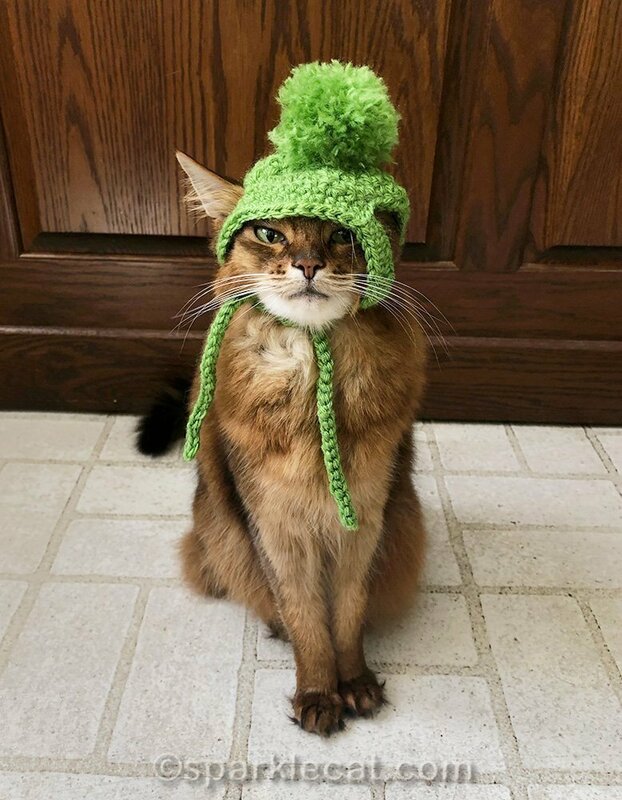 That was very nice of the lady to knit you that hat. Green certainly suits you well. You can pull that off way better than I could. Or would want to! Happy Sunday to you. That is so nice of the patient to make those for you both, and I have to say that you look quite the picture and on trend for spring. That’s a cute hat ad a cute selfie, Summer. How nice of the patient to knit it for you! How sweet of that patient to make those hats. And you wear it well. 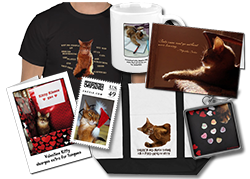 You look delightful and your couture designer really makes the purrfect fit!